To date, the toy libraries located at the Willoughby and Willowick Libraries include 96 toys and the toys had circulated 134 times since the beginning of September. In 2019, they plan to continue building the toy libraries at both locations and increase circulation through publicity efforts at area preschools and daycares. 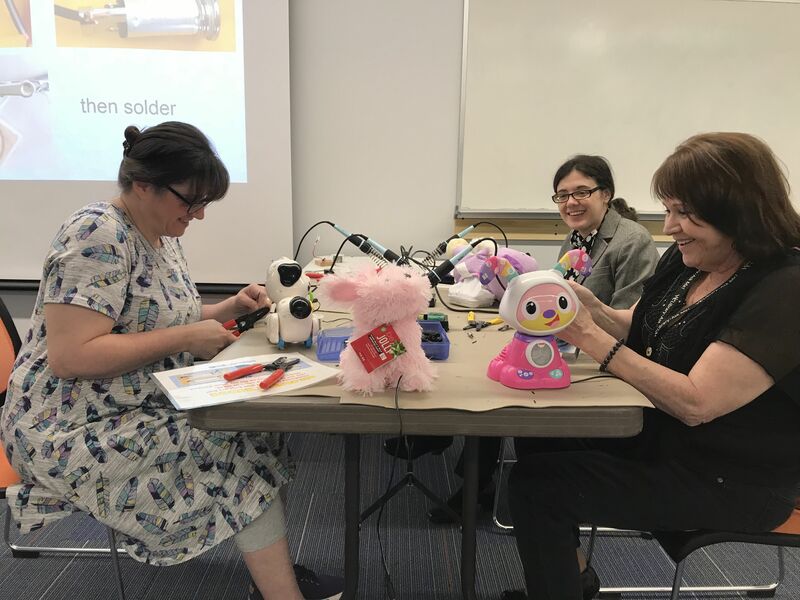 They also plan to add sensory stations for children who have special sensory needs often related to autism that will include various shapes, blocks, tactile alphabet letters, and sensory mats at the the Willoughby, Willowick, and Eastlake Libraries. They are also considering a toy library at the Eastlake location after the building renovation is completed later this year. Angela’s Accelerate vision of an adaptive toy library has become a reality at the Willoughby-Eastlake Public Library. The W-E Play Toy Library, now available to the public, includes more than 70 toys, many of which have been adapted. The library is also offering complementary adapted programming, including story time, LEGO club, and a music/movement class. At Accelerate 2018, Angela Bair won $2,000 for her idea for a library that makes educational and therapeutic resources for children with special needs accessible to parents, caregivers, educators, and professionals. Educate our children and collection development staffs on how adapted toys work. Construct a start-up collection of adapted toys. This included added switches suitable for kids with physical disabilities who cannot use the small controls typically found on toys. They are currently working to package and catalog them for library use. One of the biggest challenges they foresee is connecting will the toys with the kids who need them. They are currently exploring partnerships with other local organizations to help build awareness and make connections. Current partners include the Lake County Board of Developmental Disabilities, the Willoughby-Eastlake Schools, and Lake Health.